Well, here we are. After eight long years in the making, Owlboy has finally been released. D-Pad Studio and Simon Andersen have been working on the “hi-bit” 2D retro platformer since 2008, designed to show just how effective these kinds of games can be. 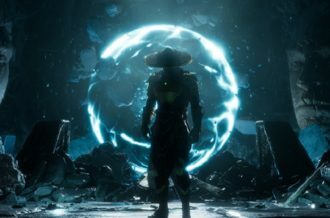 Ever since then, a ton of gamers have been highly anticipating it, showering it with loads of fan art over time and tons of praise over how it was coming along. Finally, judgement day has arrived. If the fantastical flight-based adventures of Otus failed in any way, the result would be a a legendary disappointment, something almost on the same level as the likes of Daikatana. Thankfully, that didn’t happen. Long story short, Owlboy is a true triumph and easily worth the wait. 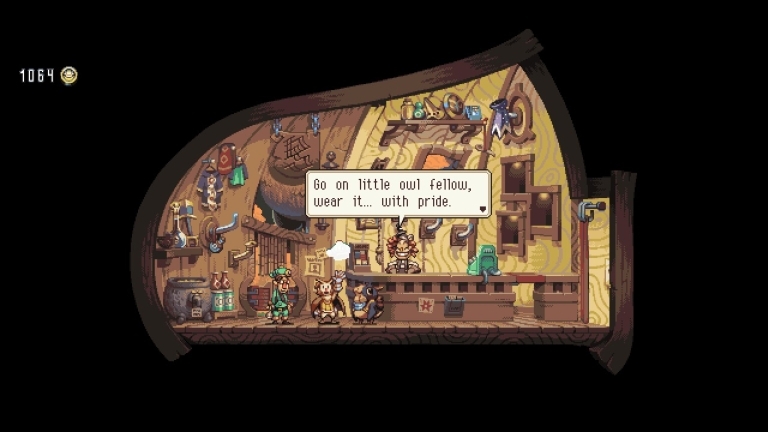 Owlboy centers around Otus, an anthropomorphic(?) owl tasked with patrolling his home village of Vellie and keeping an eye out for pirates. Unfortunately, Otus is a mute, and this causes him to feel like he isn’t living up to what a proper owl and/or guardian should be, like his teacher or rivals. This is emphasized in an opening dream sequence where Otus sees himself being forced to fail various training exercises, before a nightmarish sky with judging faces appears, and he walks past it with the silhouettes of everyone he knows appearing and telling him how much he’s a failure in life…man…I’m sorry, it’s just that as someone with a disability and self esteem issues resulting from it (Asperger’s Syndrome, in this case), that opening really got close to some of my own personal demons. And it really made me feel for the young owl, getting the player/character relationship off on the right foot. Actually, let’s not go into detail about the story. In fact, much like last year’s surprise indie hit Undertale, it is recommended that you go into Owlboy blind. Not because it’s also going to have several deconstructions of its respective genre as well, but also because a lot of Owlboy’s story moments can really hit hard. I mean, the feels hammer is in full effect here, folks. Scenes of destruction, villainy, and their aftermaths have genuine weight and gravitas behind them, touching on themes of loss, failure, friendship, and more. Even the smaller and/or optional bits. You actually wind up really caring about Otus and his friends, or even chuckling with them through the funnier bits, which are also thankfully in abundance as well. It really is just an amazing, simple, yet genius fantasy story, something that wouldn’t feel out of place in a Ghibli or Disney film. A lot of the reason all of these moments connect in one way or another is because of just how flippin’ gorgeous Owlboy is. Aside from having absolutely lush, detailed, and colorful surroundings everywhere you go, a ton of work clearly went into the body language, animation, and expressions of the characters, especially our main heroes. They really do feel full of life, which allows you to connect with them even more. And when they get cartoonish, it’s downright adorable, even in Mickey Mania-style death animations. Characters are crafted to be as unique as possible, resulting in a cast where everyone stands out in look, personality, and writing (the spider-like Twig being a particular personal highlight), and even the enemy designs are amazing, especially with some of the larger boss encounters. 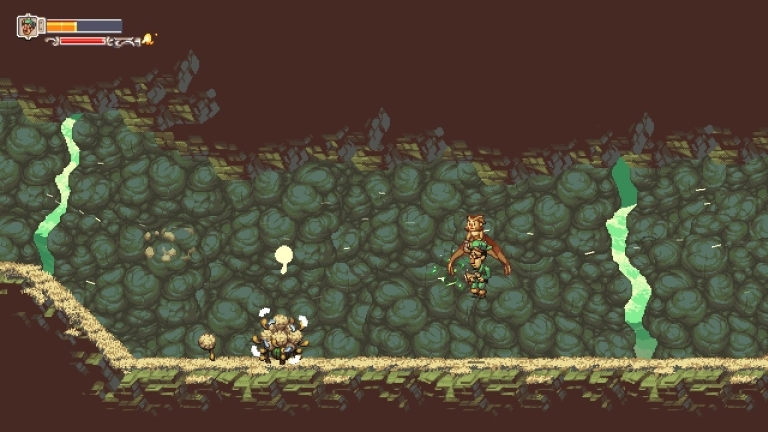 The aesthetics are also astounding, which floating lands and airships all around, thorns and Autumn-kissed leaves caressing everything in some of the best pixel art you’ll see as day turns to night before your eyes…it almost feels like a JRPG in the form of a platformer at times, if that makes sense. 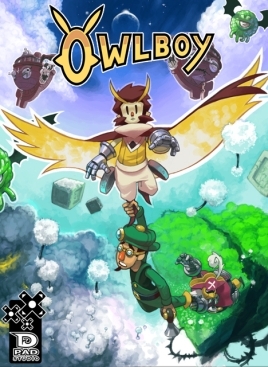 As for describing the gameplay, Owlboy is indeed a platformer, and yet it aspires to be more. It’s also a metroidvania game, where you traverse various maze-like sections in search of puzzle solutions and hidden secrets. 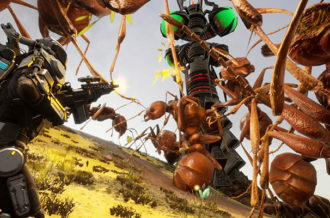 It’s also a twin-stick shooter, where you attack by grabbing one of your three comrades and using them to open fire on your enemies in all directions while flying around. Heck, it’s also even a stealth game at certain points, where you have to sneak about and avoid enemies thanks to carefully placed scenery in the foreground. And it turns out that Owlboy is a jack of all trades, because it manages to keep all of these gameplay twists juggled without dropping the ball. Each new bit feels fresh and easy to learn, while still remaining challenging. Because as it turns out, Owlboy is a lot like another gold star of the genre, Shovel Knight. Comparisons to Shovel Knight are inevitable, yes, but it has more to do than just being two indie platformers with pixel art straight out of the ’90s. What made Shovel Knight work is that it didn’t just properly emulate those 8-bit classics of old in terms of appearances, but that it also felt a true evolution of the type of gameplay from that era. It was simple, and controlled perfectly, but still felt like something fresh. And Owlboy does the same. 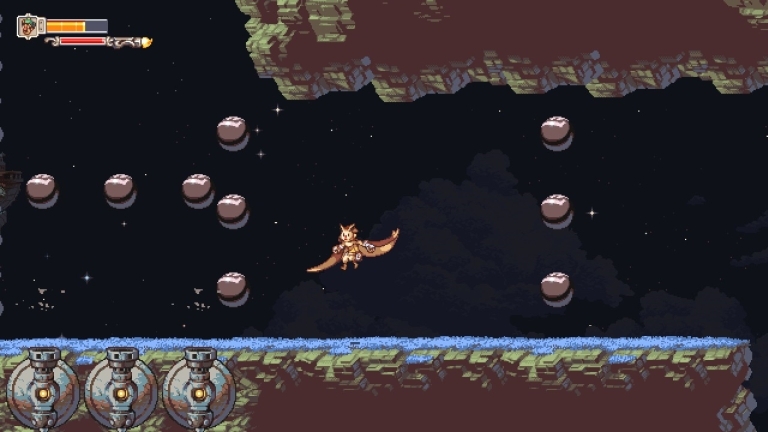 Flying around is easy to perform and damn fun, as an integral part of the game should be, with moving around in the air being done swiftly and elegantly, and just feeling like a true joy as you maneuver Otus through several tricky scenarios, grabbing onto objects with shoulder buttons and hauling them behind, or just fluttering around the land and taking everything in. Also easy and enjoyable is switching between your three partners and experimenting with each of their abilities. Between standard fire, incendiary shotguns, and paralyzing shots, you get a bit to work with, and combat is a damn joy, with the flying allowing for some creative fights, especially with the previously-mentioned bosses, which always put up a tough but fair fight. And throughout it all, it never loses that 16-bit charm. 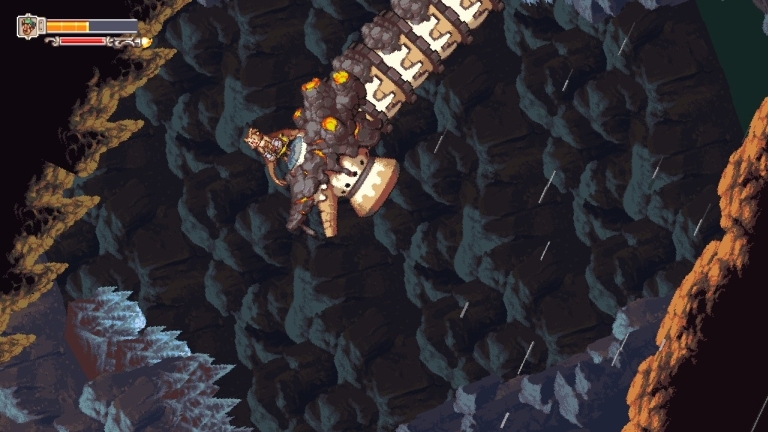 It also helps that the level design in Owlboy is terrific as well, with dungeon-like mazes and areas allowing for loads of space to maneuver in. And not only does this allow for proper skirmishes against a wide variety of cute-yet-deadly foes, fruit to grab right off of trees for health, and a huge sampling of puzzles with the right amount of difficulty (and victory chimes straight out of a Zelda game), it also encourages exploration quite a bit, challenging you to find every hidden passage and ring to fly through in order to gather every coin you can, which can then be spent on upgrades and cosmetic items. Not to mention some particularly secret emblems that reveal even more about Otus’ world. All of this is done through the types of hidden secret entrances that made those older games such a delight, where figuring out how to successfully navigate a flying magic lamp to fire and then to a rock wall to make it explode without getting wet – and similar scenarios – is part of the fun. And after all of that, the weird thing is that while Owlboy does have flaws (heck, what game doesn’t?) 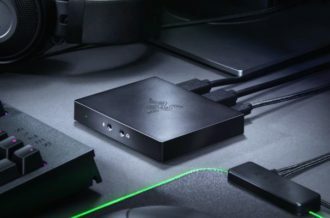 — such as a few instances of scrolling to another screen resulting in a cheap hit from a newly-introduced enemy, difficulty when backtracking through some sections to access new areas for secrets, some of the stealth bits not offering much room for error — all of them seem to melt away the second you start fending off a pack of monkeys over a pit of lava, lurk through a pitch-black area with carnivorous gnomes, fend off an ancient blob/robot hybrid, or glimpse the cloudscapes of a new land for the first time. 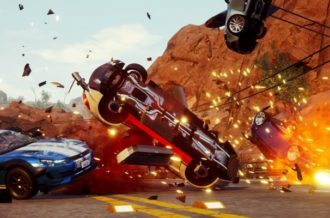 All the complaints then just feel minor, and the sensational gameplay and visuals truly shine over them. If anything, the small imperfections only make you appreciate everything else even more, to paraphrase King of the Hill’s rose-growing episode. If Shovel Knight was the best game that late-era NES never had, Owlboy is the best game that late-era Super NES never had. But aside from just being one of the best indie platformers or retro throwbacks in recent memory, it’s easily just one of this year’s best games, period. 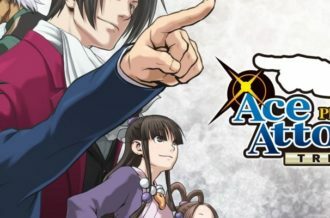 Aside from playing like a dream and having flight-based gameplay that’s an absolute delight, it evokes the old quote of “You’ll laugh, you’ll cry” through an absolutely astounding and moving story with several lovable characters and a fascinating world to discover. In fact, if you’re reading this, odds are I’m still playing it in an effort to see everything it has to offer and to forage for every possible secret. To repeat: Owlboy was worth the wait. Eight years well spent, and then some. Bravo!